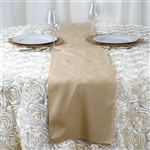 Polyester Table Runners is a highly demanded table top when it comes to any event decoration. 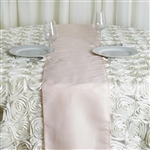 Lustrous appeal of these table runners imparts modern twist to the table settings. 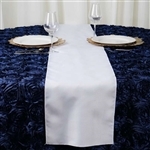 Silky sheen appearance of this polyester fabric provides an elegant touch to various party or corporate events it is used for. These table runners can be used for round as well as rectangular table tops, creating that super wow factor you so eagerly want to attain. 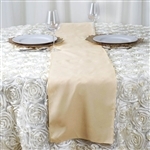 Add a sophisticated touch of chic elegance to any event or party decor with Econoline Polyester Table Runners. These table runners are made from a premium quality polyester fabric, ideal for imparting an impeccable sheen and glossy lustre to reception parties, birthday events, or corporate events. 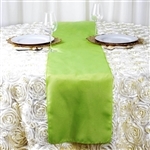 Place these table runners atop of your plain or colourful table linens to a add touch elegance to any party decor. These table toppers do not crease and always creates the neat look ideal for giving your party decoration the attention it deserves. All our table runners are wholesale priced with each offering perfect stretch, long-lasting usage and minimum maintenance requirements. 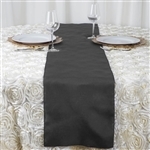 Why buy Commercial Table Runners from RazaTrade?